China’s outbound travel is attracting more and more attention among global marketers. In fact, nowadays Chinese tourists represent the largest proportion of travellers in the world’s major destination hubs. Although trade tensions with the US and the depreciation of the Chinese Yuan are grounds to predict a dip in Chinese outbound tourism, according to McKinsey & Co, the opposite is happening. Chinese tourists are expected to increase in the next few years, presenting huge potential for global destinations and brands hoping to attract more Chinese consumers. In 2017 alone, the number of Chinese outbound tourists exceeded 131 million. Factors contributing to this growth include a rise of disposable income, easy access to travel information online, reduced visa policy limitations, and greater connectivity to and accessibility of airports. Foreign brands within the travel industry have already started taking advantage of this trend. They try to reach their Chinese audience even before they travel and aim to influence their decisions when they are planning trips. Qumin’s unique location in both Europe and China has proven advantageous for brands looking to achieve the above. The following presents a couple of travel case studies by Qumin: Heathrow Airport and Eurostar. Naturally, airports are the first thing travellers see upon arrival, providing the first impressions of their destination. Travellers can feel lost due to language and cultural differences and might seek tools and guidance for their onward journey. At Qumin, we understand Chinese travellers which is why we helped Heathrow Airport provide its Chinese visitors with a unique experience when arriving to London. Heathrow airport is the second busiest airport in the world by international passenger traffic and also the largest airport in the UK. Due to its scale and importance, it needed the perfect tools to help Chinese consumers navigate through the airport. Despite the reported decrease in spending power of Chinese tourists for shopping whilst abroad, shopping is still the preferred waiting pass time at airports. For Golden Week we promoted Heathrow’s Personal Boutique Shopper Service with the help of the iconic Chinese fashion blogger Anny Fan. Travellers can book their own Personal Shopper up to 48 hours in advance to assist with their shopping experience at Heathrow airport. A detailed shopping plan is prepared before the customer’s arrival according to their available time. Fan shared the experience with her millions of followers on Weibo and WeChat encouraging Chinese tourists to do the same and book an appointment with a personal shopper. This was the perfect occasion for luxury buyers to have an intimate experience in one of the biggest airports in the world. Travelling from the historical capital of London, England, to the “Ville Lumière”, Paris, is made possible with the Eurostar train. We helped Eurostar promote this experience with Chinese tourists. London-based fashion influencer Yvonna Xu was the protagonist of the campaign, sharing her experience of a one-day trip from London to Paris. In order to reach the ‘on the go’ Chinese travelers around the world, we conceived a campaign that applied to user-generated content on social. Qumin created a Eurostar-branded responsive platform built for a Chinese audience and synced it across global servers for seamless accessibility anywhere in the world. 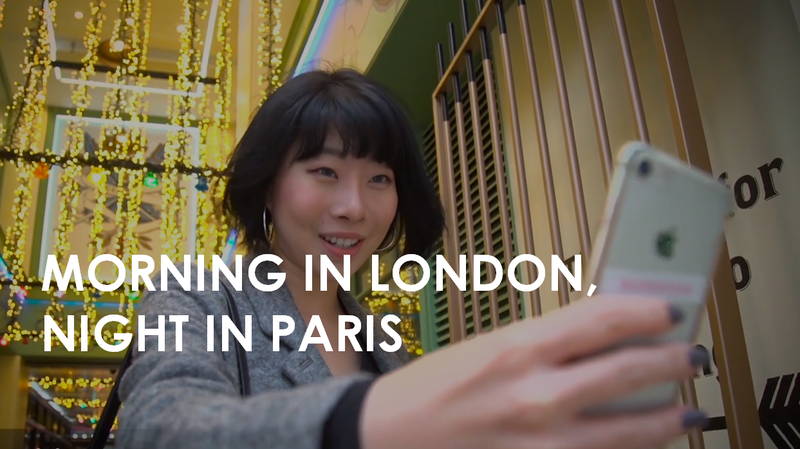 Users were then asked to create and submit a 30-second video of their unique experience in either London or Paris, which they then tagged and shared across their own Chinese social profiles. Participants also voted on each video, which gave the campaign more exposure, created greater brand awareness and added value to Eurostar’s social channels in China. Within one month, the campaign received excellent submissions in both volume and creative content with over 25,000 sessions. The winner received a first class ticket on Eurostar, the chance to stay in a 5* hotel, and £2,000 voucher to spend on Regent Street in London. A video of the experience was then distributed to other channels for more exposure of the campaign and the Eurostar brand. The full case study campaign is available here. 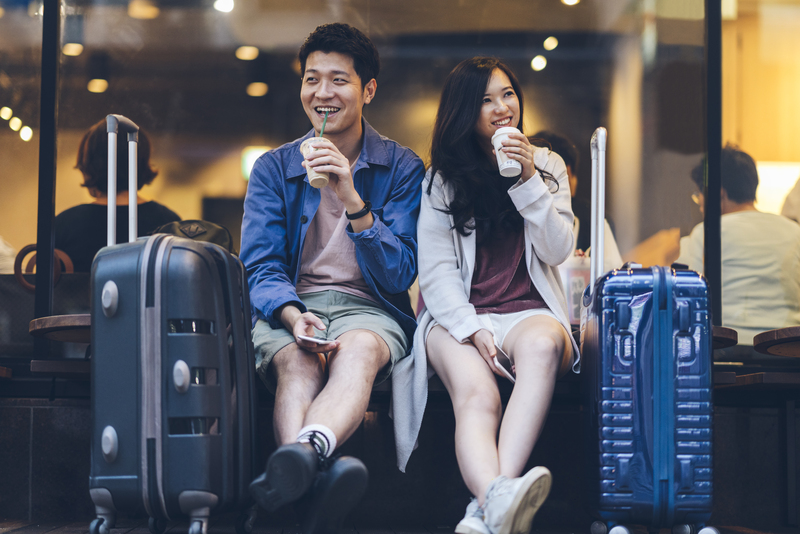 These case studies show that through the right channels and by providing rich and rewarding experiences, Chinese travellers can be enticed to engage with brands pre-, during, and post-travel.